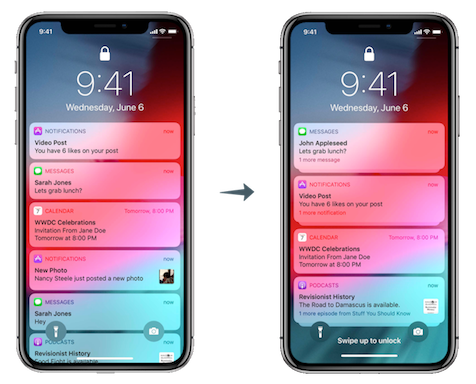 iOS 12 introduces grouped notifications, a new feature that keeps multiple notifications from the same app grouped on your lock screen. One of iOS 12’s most significant changes is how notifications are displayed: they now show up in groups. Grouped notifications are not dependent on your Batch SDK version and do not even require you to update your app. Notification grouping happens automatically on iOS 12: after a certain amount of time or number of posted notifications, they’re grouped by app. It is also possible to group them manually: a Podcast app would, for example, group notifications about new episodes per source.